I initially fell in love with the whole "Home Server" idea way back, when my company Cybercircuits was invited to beta test Microsoft's Windows Home Server OEM (I think it was sometime in 2005). Being an OEM operating system meant this wasn't going to be released to the public, and only computer retailers and manufacturers would have access. Seeing as I was a beta tester afforded me access, and to this day, I've been running some version of WHS. HP was one of the first companies to bring the WHS operating system to the public back in 2008, with their release of the HP EX470. I remember the first time I saw one of these units on display at a local Future Shop, I was so excited, that is until I saw the $1,000 (CDN) price tag, which wasn't in my foreseeable budget. 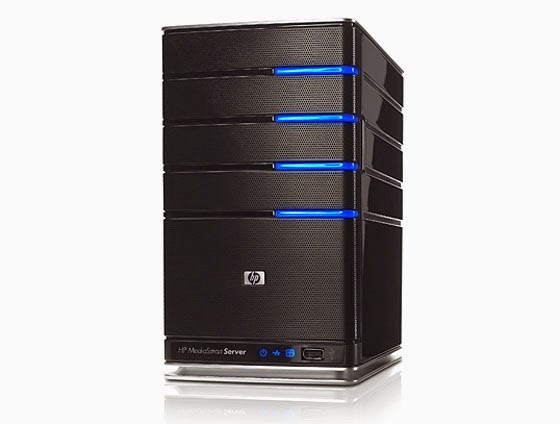 I've always been meaning to acquire an HP Home Server ever since it's debut, however given their steep price and that HP halted production of its Home Server Line in 2010, I never imagined I'd get the opportunity to own one of these. In January of this year I picked up an HP EX475 off craigslist for $60(CDN), and while physically it seemed to be in great shape, it's hard drives were missing and obviously wasn't running. My goal at this point was to upgrade and restore this unit and eventually assimilate it into my current home network. The EX475 shipped with an AMD 1.8 GHZ Sempron CPU, and 512MB of RAM, which at the time was relatively state of the art, but almost useless by today's standards. If I wanted to make the EX475 useful I would need to replace both these parts. After doing a quick www search, I came across a fantastic article on Tom's Hardware, with complete documentation on how to modify and upgrade the EX470/EX475. Unfortunately some information was obsolete, and the parts suggested were no longer available, so back I went to do more research. I came across a forum on MediaSmartServer with extremely useful information on upgrading the EX475 CPU, and after cross referencing CPU information on CPU-World, I had made a decision. My decisions had been made and I took to Ebay to make them final. While many had opted to go with 1 or 2 GB of RAM, I purchased a Samsung 4GB PC2-6400 DDR2-800MHZ 240pin DIMM RAM, a $19(CDN) gamble which ended up paying off. For the CPU I knew I wanted the option of being able to run a more modern operating system like WHS 2011 or Windows 8, this meant I needed something that was Dual Core. I took another gamble, this time for $35(CDN), and selected the AMD Athlon X2 3250e 1.5 GHz Dual-Core AM2+ (ADJ3250IAA5DO) CPU. ** I sacrificed overall speed for low heat and power consumption as this CPU ran at 22watts, the lowest power consumption of any dual core CPU. This build wouldn't be going anywhere without the purchase of a $45(CDN) VGA-Adapter (also from Ebay), as the EX475 has no video out or any available PCI slots. 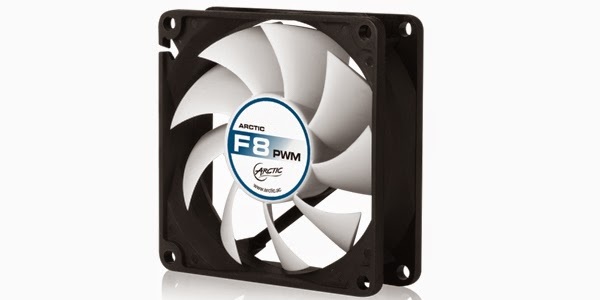 The final purchase was a set of (2) 80mm Arctic Cooling PWM fans from local retailer NCIX, for a cost of $15(CDN). ** When replacing a CPU you should always consider replacing the CPU fan, in this case the EX475 does not have a CPU fan, but two PWM case fans that cool not only the CPU but also the internal drives. For an investment of about $130-$175 (CDN, including taxes and shipping costs) I would have myself a new addition to my home network. ** Technically while I did purchase the VGA-Adapter strictly for this build, it could also be considered as a tool, as it can be removed and used for other builds as well. 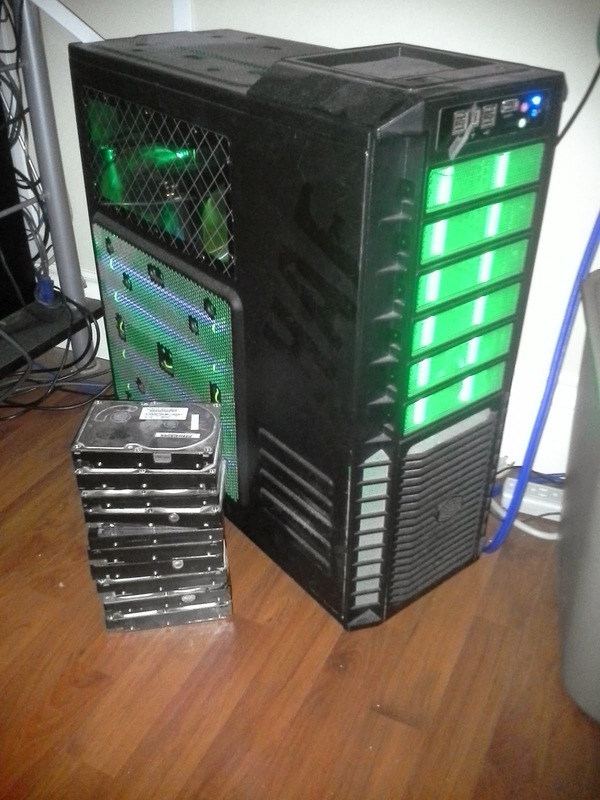 Also I know I didn't mention anything about hard drives yet, and that's because I recently upgraded my main home server and had a stack of unused hard drives collecting dust. I will be re-purposing these drives for use in the EX475. Stay Tuned for my next installment where I begin the EX475 rebuild process.